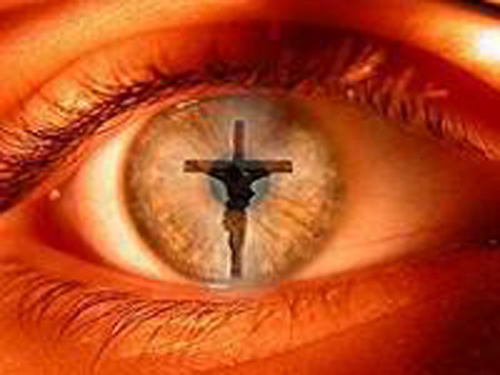 I have my eyes on you, says the LORD. I know the way that you take. You are precious and priceless to ME. I created you for MY PURPOSE and pleasure and your times and seasons are in MY HANDS that formed you. You are what you are by My grace. It is sufficient and abundant for you. I know where you are and I know who you are and what I have created you to b. FRET NOT! FRET NOT! For your times and seasons are in My hands, and those things that I have created you to do will produce fruit. For it is MY DOING, says the LORD. I formed. I created. I called. I CHOOSE! I perfect. I make a way. I provision. Your life is hid in ME. I will not only order your steps, but I will provision them, says the LORD. I Am! I Am! There is NO OTHER GOD beside ME, says the LORD. Look to ME Who is not only your Author, but your completer. You will not be a bench warmer. You will not be in the game either, but you will be on the field. You will be in the field. The field is MINE, and you are Mine. I will position you where I want you to be and I will fulfill all that I have called you to be. You will be active in My field as I have already spoken to you, says the LORD. I WILL Do it for the honor of MY OWN NAME. TRUST IN ME NOW! TRUST that I AM, and I AM good for MY WORD. I will perform MY WORD that I have spoken to you and NONE CAN STOP ME! I AM GOD! TRUST ME. OBEY ME. FOR I wll surely use you for My glory and you will not be wasted and you will not be in the closet and you will not be forgotten and you will not be overlooked. I AM YOUR buiilder and maker and the One Who perfects you and WHAT IS SAY, I DO. I will finish what I have begun in you and nothing will be undone, imperfect or incomplete, says the LORD. We, at times, need to be reminded of His faithfulness to fulfill HIS promises – especially during difficult times! Thank you for your faithfulness. Amen!!!! Oh my this is PERFECT! PRAISE GOD!!! DO NOT BE AFRAID FOR I AM WITH YOU. Wowww…thank you Lord! I believe this word and it shall happen to me according to your word. Amen! Thank you Thank you thank you Father!!!! Thank you Jesus my identity is in you alone. Amen 🙏🏻🙌💥💯 to God be the Glory! !